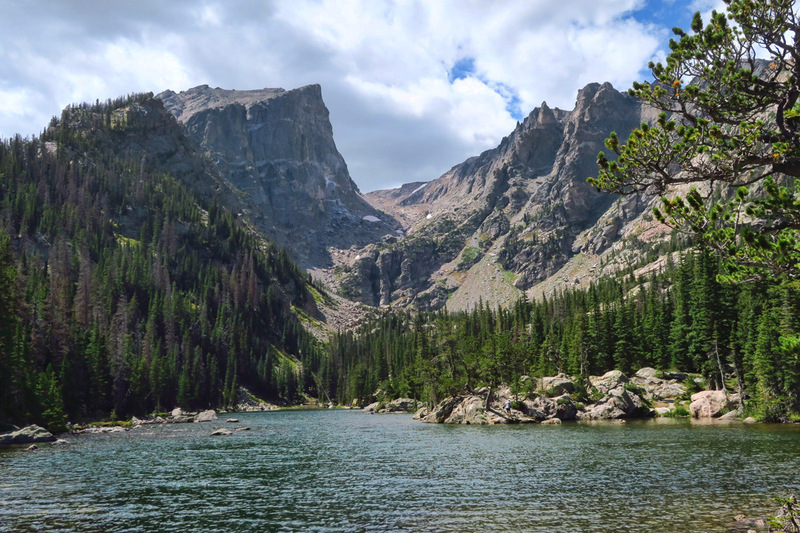 One might think that with a name like Rocky Mountain National Park, it would be all about the mountain peaks, right? 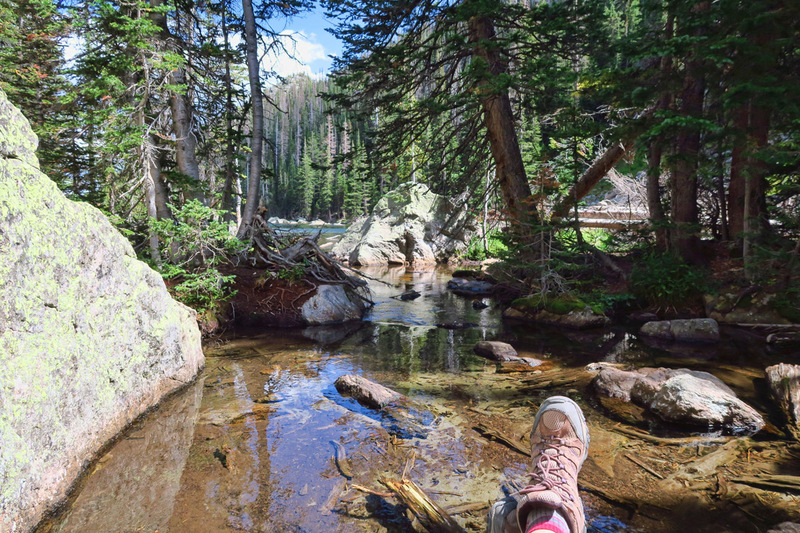 After all, the park is made up of mountain ranges with 78 peaks exceeding 12,000 ft, so one can expect a spectacular mountain view anywhere you go. 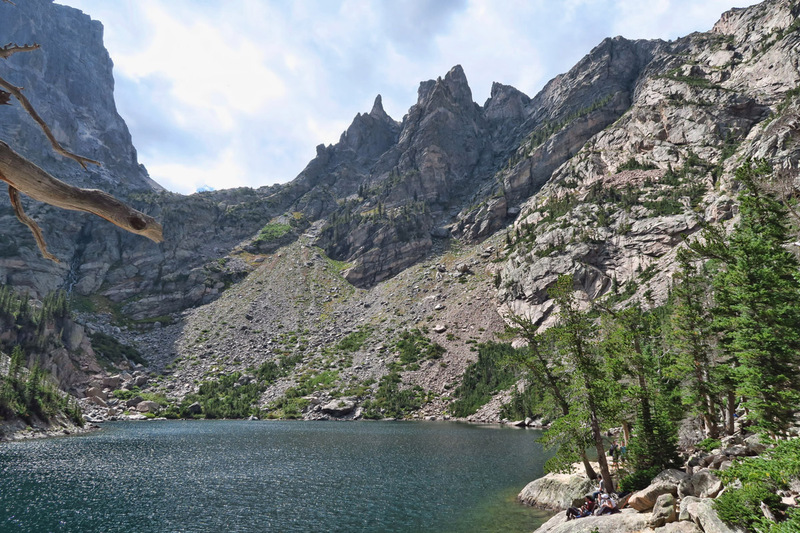 In fact, that’s the difference between the west side with more heavily forested views, versus the east side marked with stark mountain cirques carved by glacial ice, deep canyons, and jagged spires. Although I enjoyed my time on the west side, I wasn’t really “wowed”…or gobsmacked by the beauty. It was pretty ordinary scenery for what one would expect from Colorado, save for the moose. But once I got to the east side, I saw what all the hoopla was about, as it wasn’t just the altitude that took my breath away. Bear Lake has an ADA accessible paved path all the way around, complete with signs giving percent of grade for wheelchairs. Next up on my Five Lakes Loop is Nymph Lake, dotted with pond lilies. Nymph Lake is only about a half a mile up from Bear Lake, and half the path is paved, so it can be a little crowded. 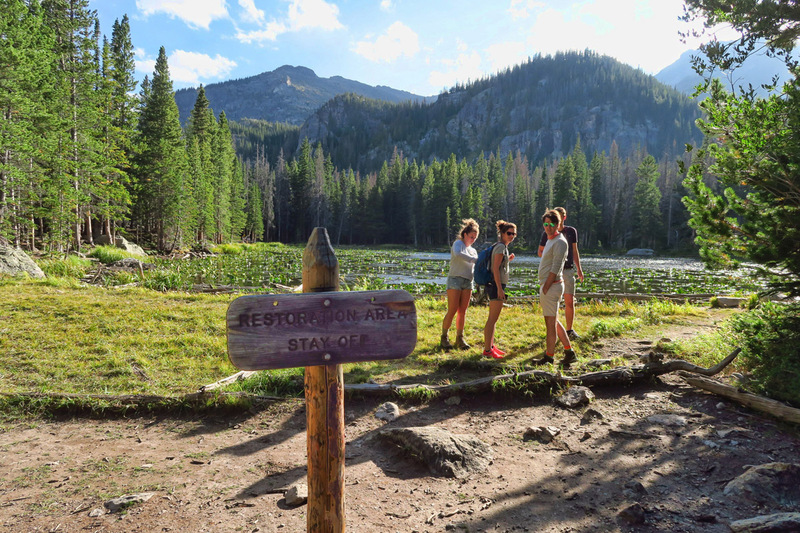 One of the most popular hikes in the park makes it possible to visit five different lakes in one loop. 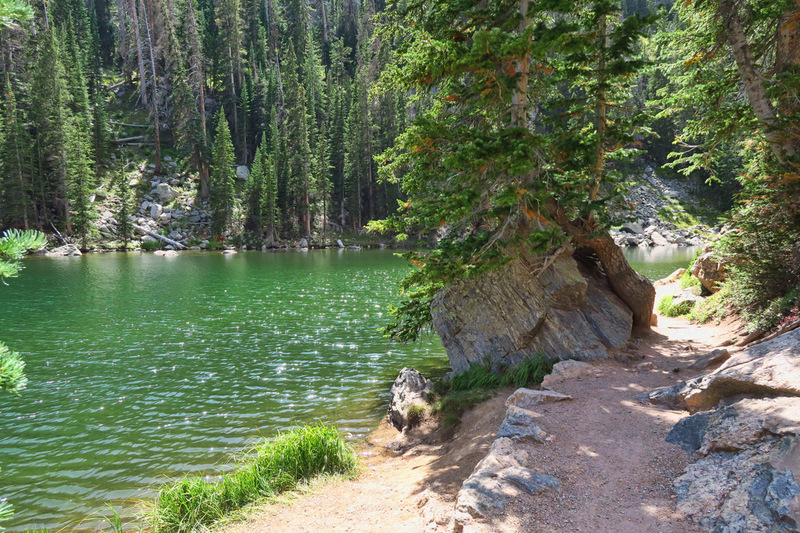 It starts out at Bear Lake just yards from the parking lot, with an elaborate ADA accessible path. It’s the closest opportunity for a “drive by shooting” of a lake where visitors need only walk a few steps from their car for the family photo. The paved path continues on up to Nymph Lake, beckoning crowds to follow. 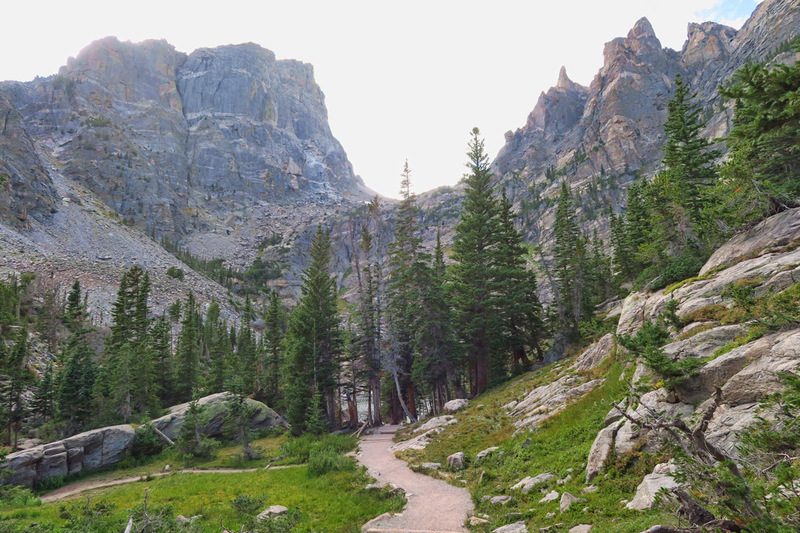 But fewer and fewer continue on around the loop to Dream Lake, with only a handful continuing on up the increasingly steep trail to Emerald Lake. It’s like a game of Super Mario, the higher the level, the greater the reward. By the time I reach the fifth lake on the loop, Lake Haiyaha, I have it all to myself. Leaving Nymph Lake, the path starts to climb bit. I am excited because this is the first turning Aspen I’ve seen this season. 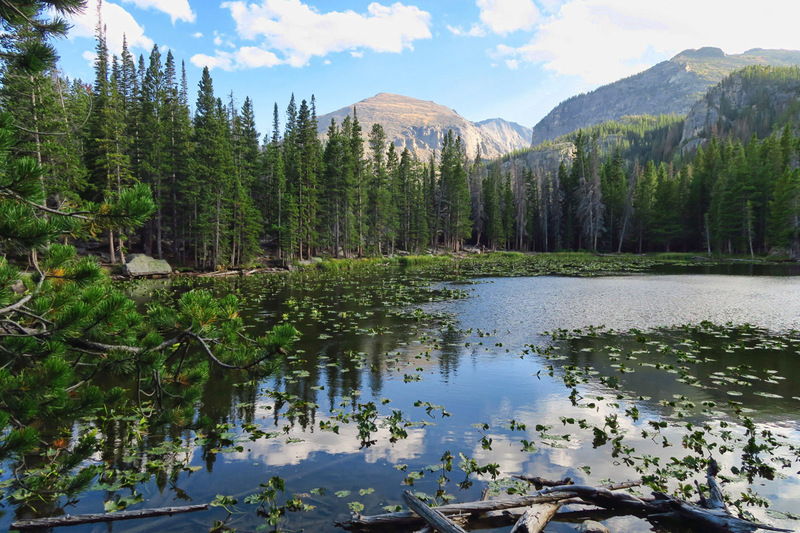 Dream Lake is stunning on this gorgeous day. There are quite a few fly fishermen along the lake. I stop and talk to one of them. Somehow, our conversation takes a turn toward the more personal, as I tell him it’s 2 days from my deceased brothers birthday. Stephen loved to fly fish, and I am wearing his favorite Cabelal’s Guidewear hat. 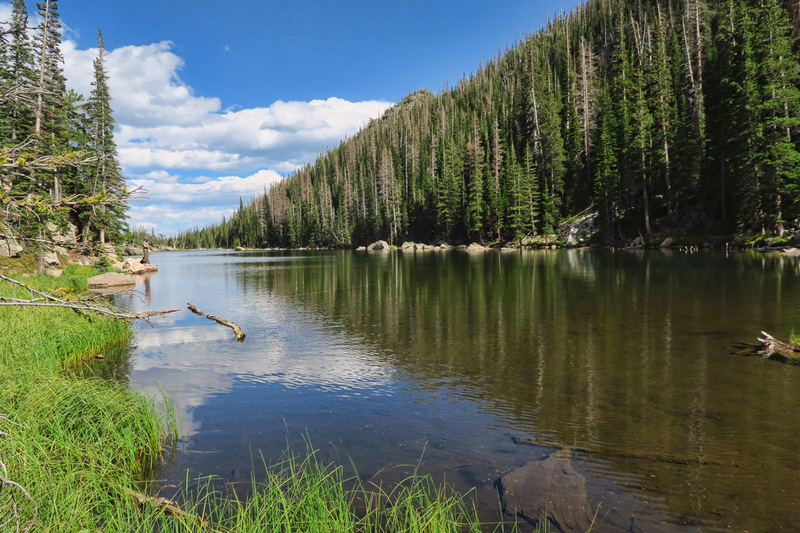 While talking to the fisherman, I stand and watch as I can see half a dozen trout below us in the clear Dream Lake. 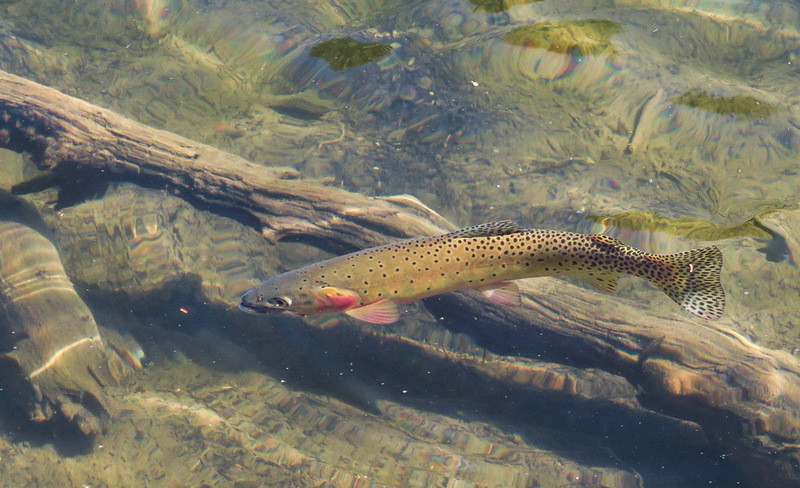 Greenback Cutthroat Trout, native, but threatened species. 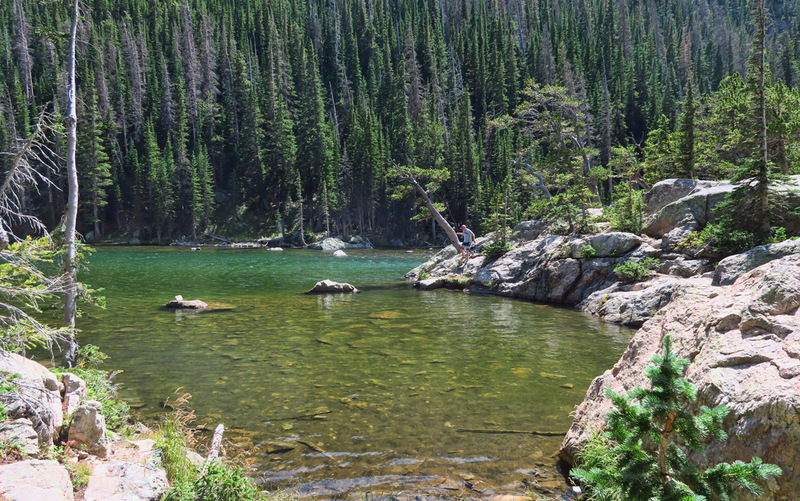 Fishing in RMNP is catch and release only. 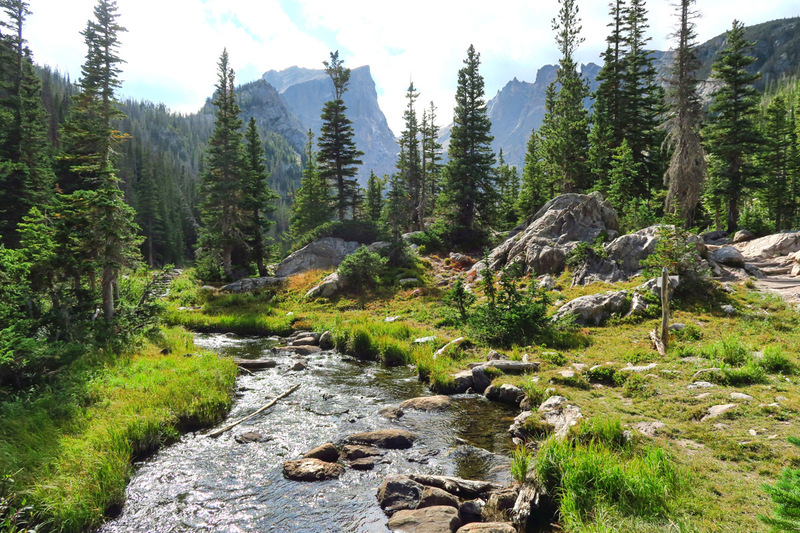 I hike six days straight on the east side of Rocky Mountain National Park, each day no less than seven miles. I love an all day hike. Pack a lunch and just meander at my own pace all day. I had so much fun constructing different hikes utilizing the shuttle system. 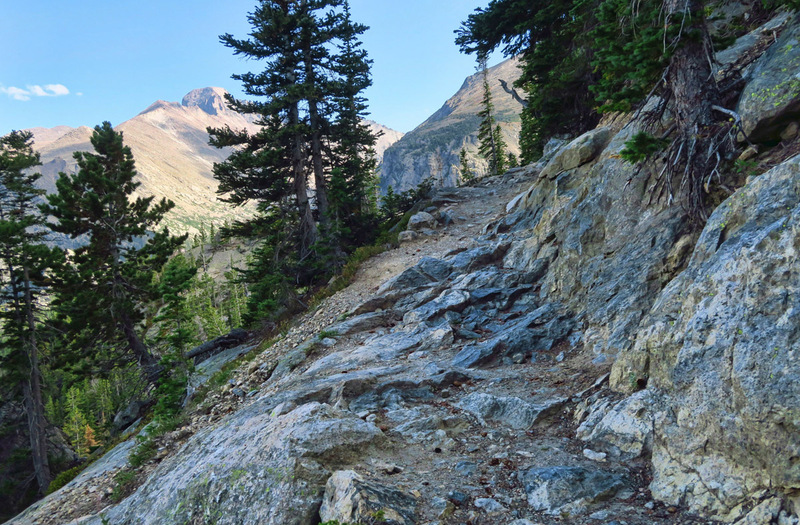 It was truly freeing and liberating being able to “compose on the fly,” piecing trails together to construct my ideal length, combining shorter trails into longer rambles until my legs ached and my feet throbbed. …but not without a lunch stop first! Emerald Lake is another couple of miles up from Dream Lake, and it’s a bit steep, but worth it! 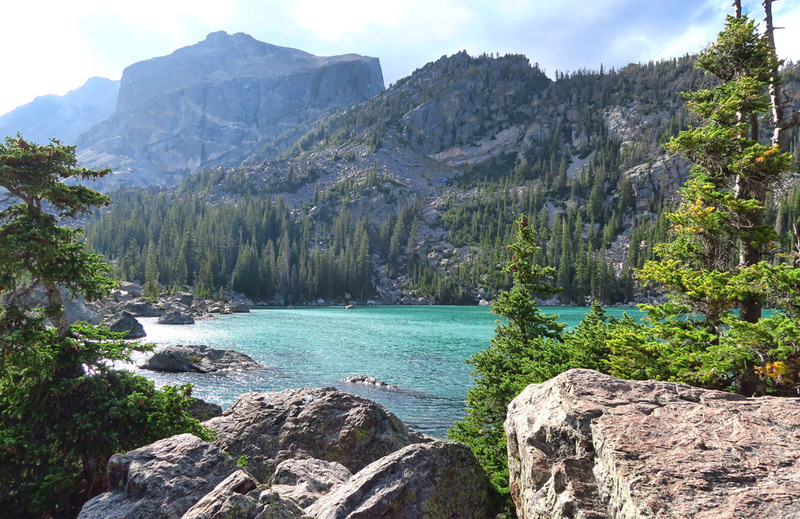 Much of this area was carved by the Tyndall Glacier, giving the lakes their cirque shape. But there was one sobering thought that loomed ever present on my mind during my stay. A hiker went missing while I was there. 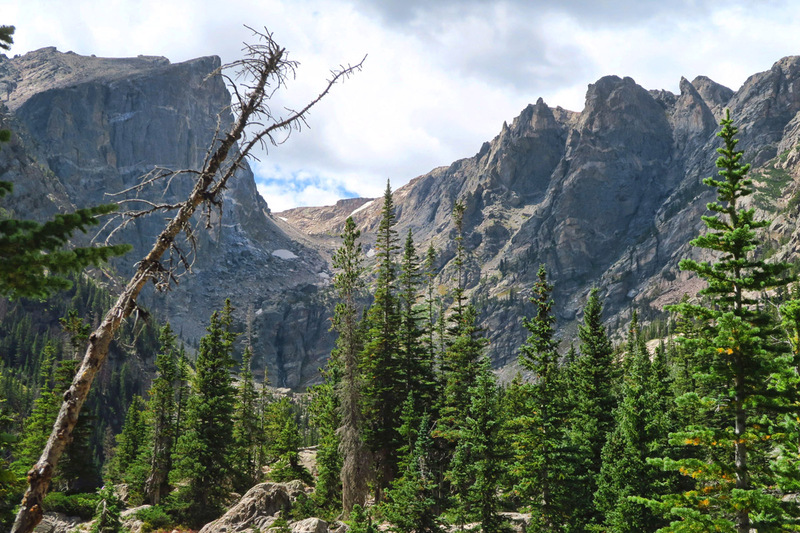 He was believed to be headed up the Keyhole Route, approach to Long’s Peak, Rocky Mountain National Park’s highest peak at 14,259 ft. At the risk of judging, he was believed to have left out at 2:00pm. Wearing sandals. That could almost be questioned as suicide, but who am I to say? RMNP ranks third among the national parks in search and rescue missions, with 165 incidents in 2017. Five of those resulted in fatalities. Grand Canyon was first with 290, while Yosemite was second with 233. In that same year, Rocky Mountain spent $138K in rescue expenditures, sixty percent over budget. Part of this is due to increasing attendance in the national parks. I suspect part is also due to social media outlets where people exchange extreme selfies for likes….and in some cases, lives. To reach my fifth lake of the day, I backtrack to Dream Lake, then begin the climb to Lake Haiyaha. 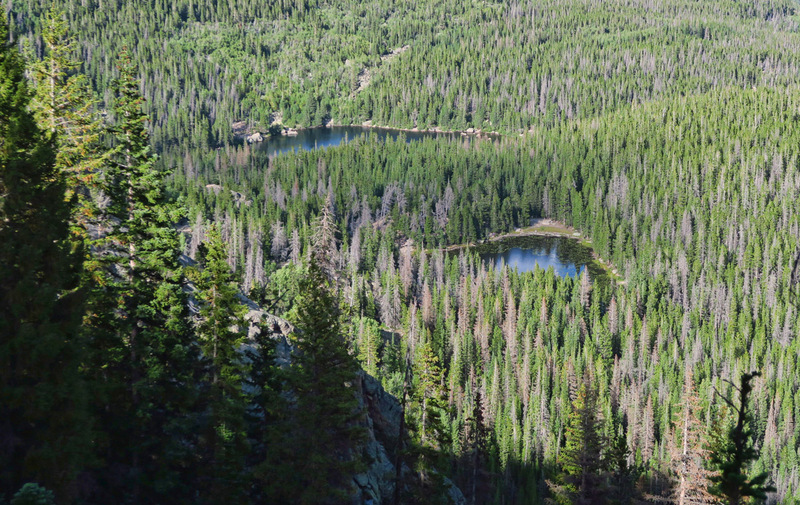 Looking back down over Nymph and Bear Lakes. Lake Haiyaha is surrounded by giant boulders, making it challenging to get to the waters edge. 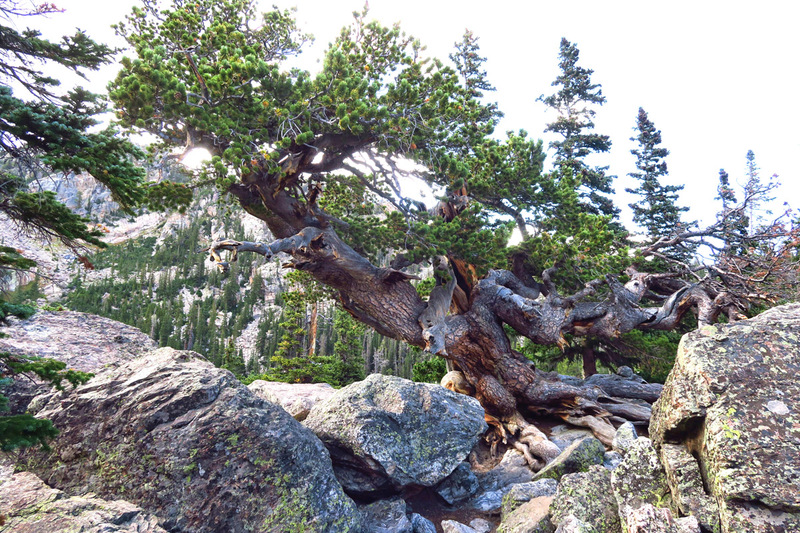 This giant, twisted pine is the landmark to follow for lake access between the boulders. 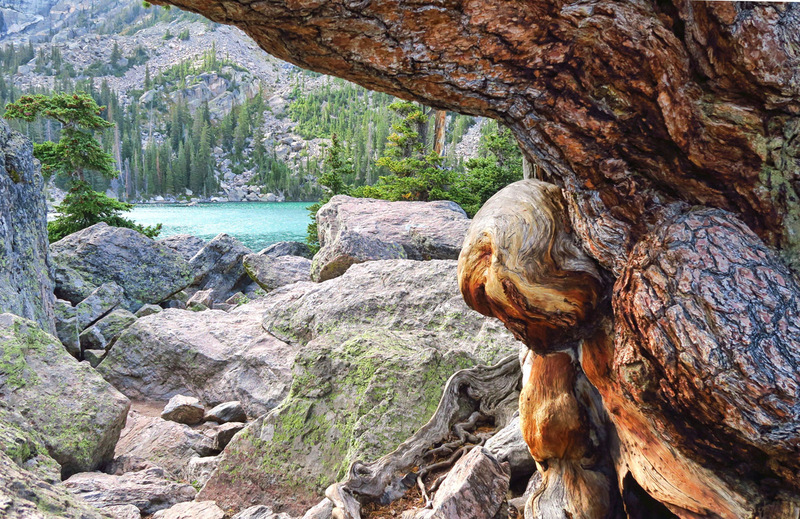 Once you cross under the twisted trunk of the pine, you get a first glimpse of Lake Haiyaha. Of the five lakes on this hike, this one is by far my favorite, just because of the color. Shooting into the sun makes it tough to tell how brilliant this water was. More waterfalls around the loop. 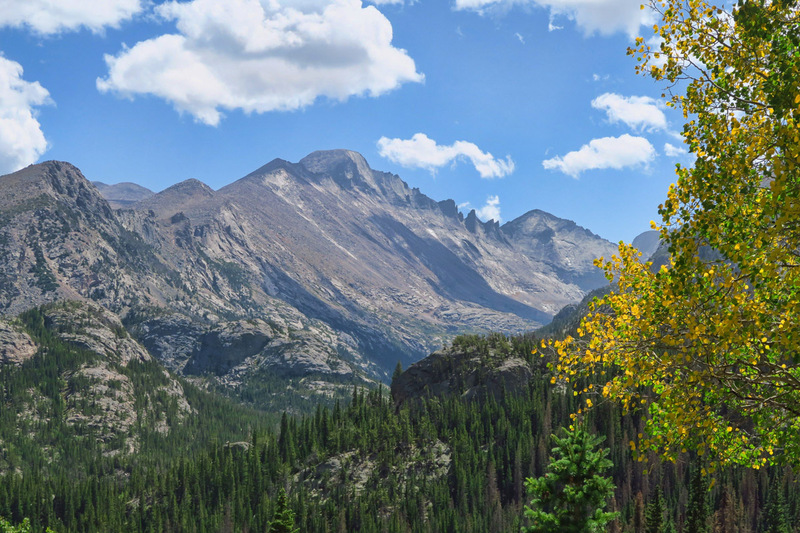 Below is a picture of Long’s Peak. Its 14,259 ft summit looks so easy from here, but then don’t they all? Another adage that became an adage for a reason, “Looks are deceiving.” He was believed to be headed up the Keyhole Route, known as the standard route for climbing the peak. He was the second man to fall to his death in the park this summer, the first from nearby 13’er, Mount Meeker. Longs Peak from the edge of Bear Lake. This incident was disturbing to experience it as it all unfolded. First, there was the news flash on the TV screen overhead in the local restaurant with the tag line “Missing Hiker.” Next came the “Missing” flyers tacked up at all the trail heads with a photo and description of what the man was believed to be wearing. Finally, the eerie sound of the helicopters whop, whop, whopping overhead with the “basket” attached, as the search turned from rescue to recovery. The words that haunted me were “believed to have started”…”presumed to be”…”unknown what his planned destination or route was.” His family reported him overdue, but no one had a clue where he had gone. They found his rental car at the Longs Peak trailhead, so they started there. Interviewing other hikers, bringing in dog teams, helicopter searches, etc. I do carry a Garmin InReach device to I can signal for help, but in this man’s case, he fell over 200 ft and died instantly, leaving his poor family to piece together his plan. Although my family always knows where I am parked for the night, I rarely ever “file a flight plan” for a day hike. What a pain to have to compose an email every time I start out for the trail. And how confusing for my family to have to sort through past emails. So I have implemented a new process. I bought a small, 8” x 10” white board for two bucks from Walmart, and I now scribble out my intended destination as I am packing out the pack. I’m certainly not scaling any mountains these days, but still end up in some overlooks, canyons, etc. alone, where no one knows my location. 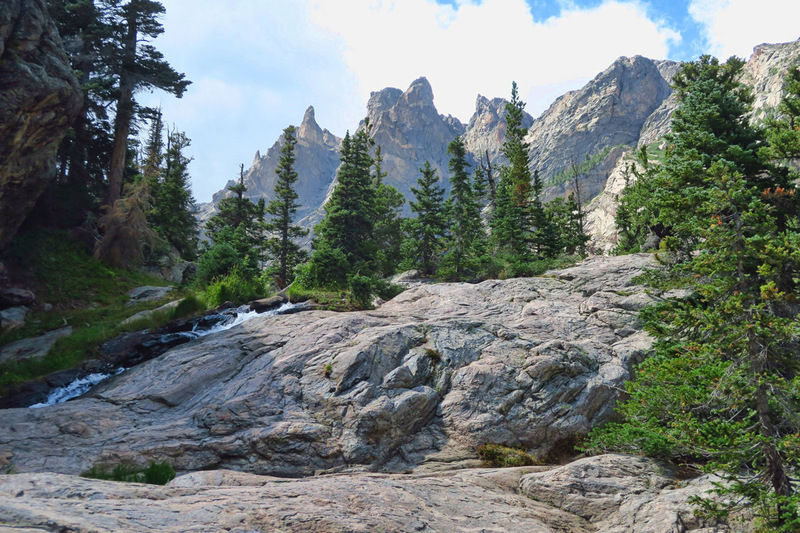 This entry was posted in Colorado, National Parks and tagged Longs Peak, Rocky Mountain National Park by Suzanne. Bookmark the permalink. Wall worthy photograph! It speaks to my soul. You’ve captured it exactly!!! 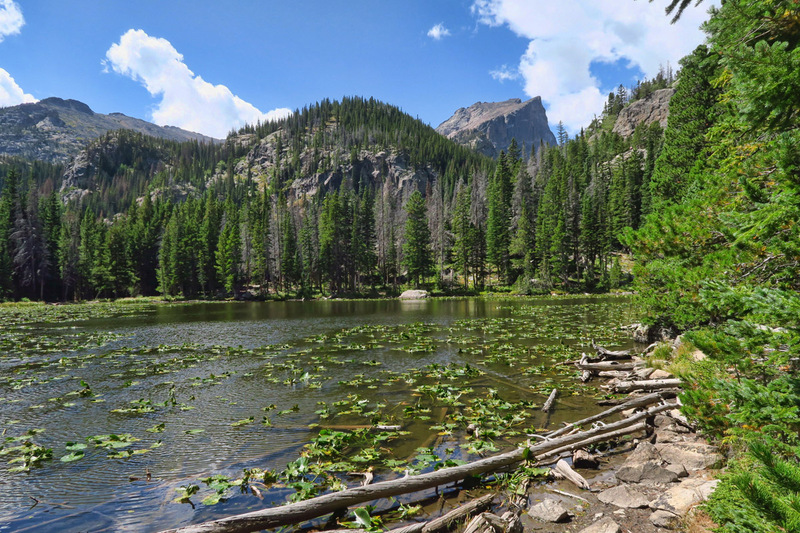 Have not been to RMNP in over thirty years, but your fabulous photos brought it all flooding back. I hope the wheelchair access areas continue to become more prevalent. What an awesome trip! But now I have to schedule a side trip next yr when I come back to work in Utah…. Thank you so much for your posts. And great idea about the white board. Wonderful, as always! I know a gal who uses the white board and posts it in her rv’s front window. A fellow camper actually found a pass or credit card and was able to return it to her because of the white board. Just a thought. oh you are talking about Carolyn, I thought the same thing…especially since she has a dog in her rig. Good idea on the board. You might leave your cell phone number and an emergency contact. So enjoyable to read about and see these beautiful lakes and mountains. Sad about the hiker, in my youth I spent many a day and night searching for hikers in the mountains and lakes where I grew up. Most ended happily, but there were those few. I recently found your blog and enjoy following your adventures! You are creating quite a wish list of places for me to visit, if I can ever get the RV my wife and I bought in May out of the shop! It is a 2006 View and appeared to be a great buy! At First at least! I don’t know if you ever give out a contact email but if that’s possible I have a number of RV specific questions I’d like to ask. In the meantime keep up the great posts! Every one of them provides great persuasion in convincing my wife to hit the road with me! Recording your intended destination is a great idea. I hope it never has to be used to find you! 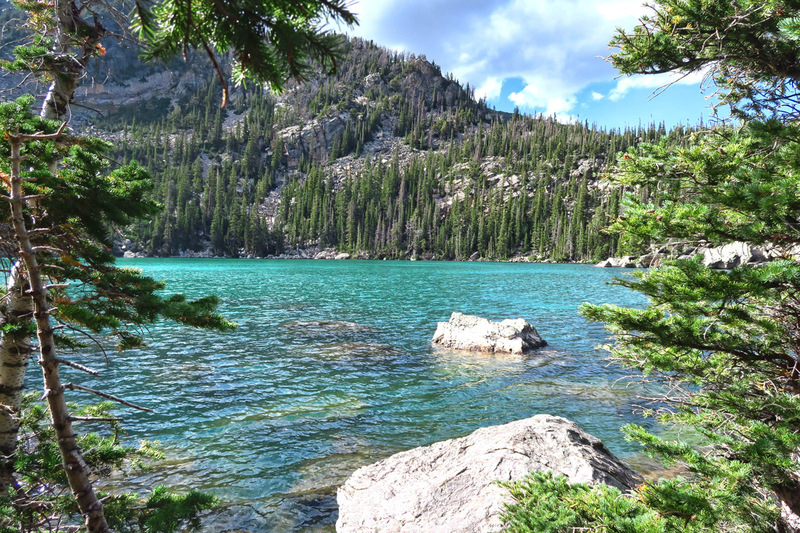 Do you know what makes the lakes those varying shades of blue / green? I don’t, I’m just wondering……. I try to remember to let someone know where I’m going birding. I did that just today at lunch. I work in “da hood” so even though I’m just down the street from the office, at least the authorities would have a starting place. Good idea for you to leave a note! Dissovled minerals form the rocks. 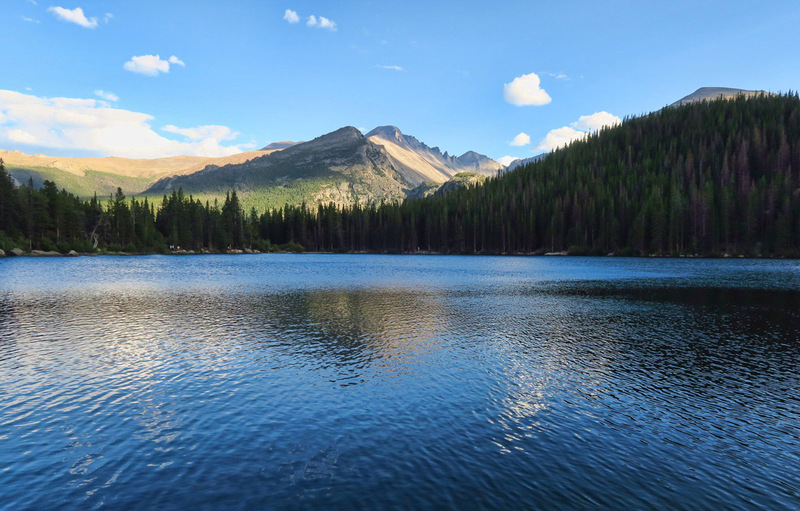 I’ve avoided Rocky Mountain NP due to the crowds, but your post has me thinking I should reconsider that. Especially seeing the cutthroat in Dream Lake! I like your idea of the destination message on a whiteboard, but the Garmin InReach seems the best tool to actually be saved. At one time I heard some people were developing a website where you could enter your trip plans, and have the website send a text or voice message to a designated phone number or email address if you didn’t return and cancel the message by the time you had entered for the message to go out. But I haven’t been able to locate such a website. 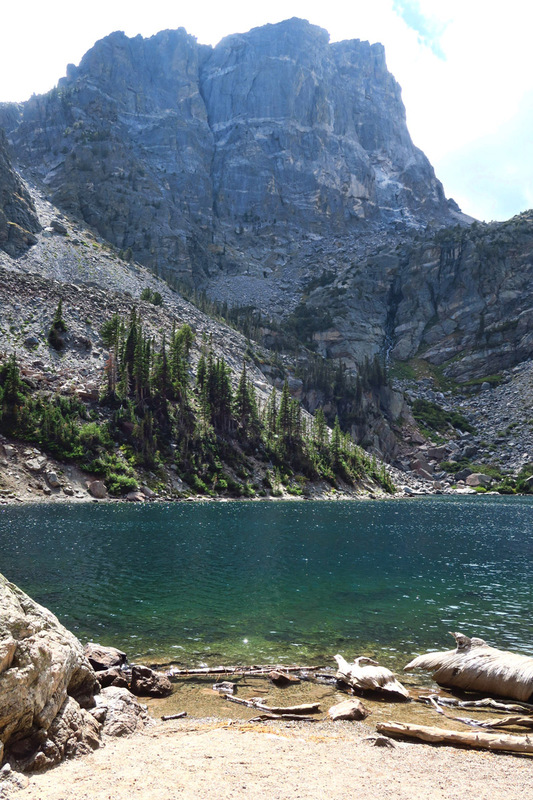 I’ve only been to RMNP once and remember the clear lakes and trout. 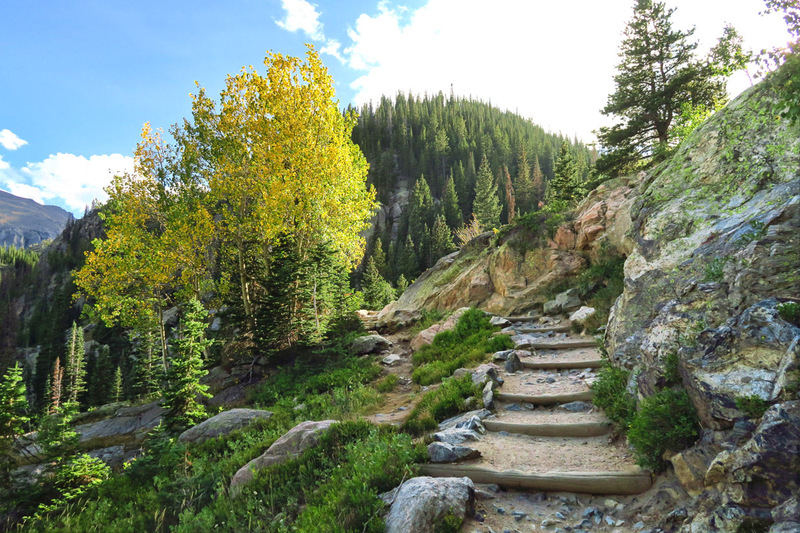 Now that I am staying in CO for a few years, I hope to get back there for hiking. I swear, every time I read your posts I think to myself “I need to remember this place”! But this I definitely do need to remember. If I had a wish list it would be a mile long. Wondering where you’re headed for the winter? Would be great if our paths cross again sometime soon! Nice to see the pictures of the 5 Lakes Trail. We did part of it back in the late 90’s during the first week of May. We encountered thunder snow with low visibility and were forced to turn around before we completed the hike. Such a wonderful world and thank you for bringing it into my home. Love all of these photos. Pretty special place to be near Stephen’s birthday. So happy you initiated the white board procedure. Please tell me that after you took that photo of those girls in the do not enter restoration area ,that you told them to read the sign and to move. 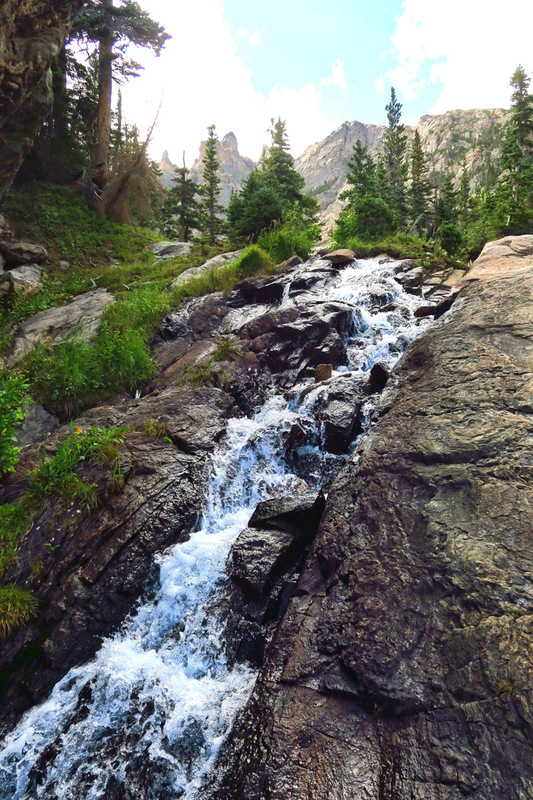 You certainly made the most of your time in RMNP, the hikes chosen providing you stunning scenery at every turn. As always, your photography leaves me wanting more. 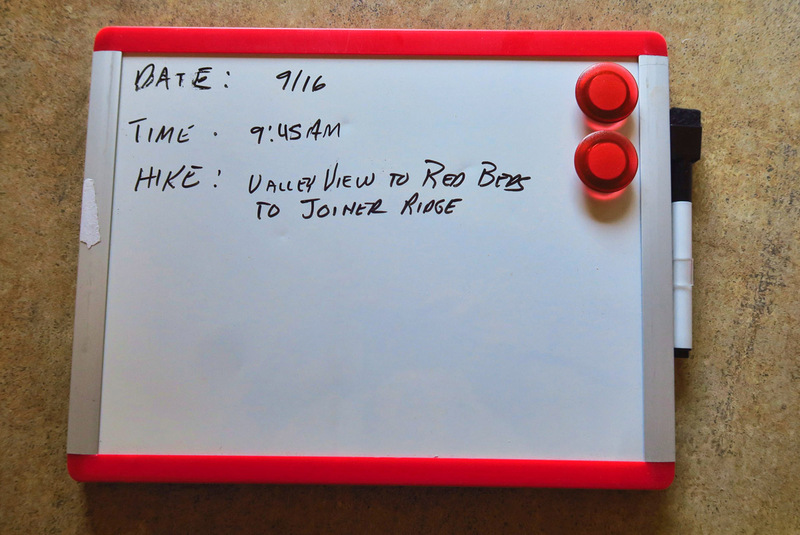 Glad to hear you have devised a plan, albeit it rudimentary, for letting others know your intended hike, should you not return within a reasonable time. I’ve really enjoyed your Colorado series. Lovely places as always and I do wish we could have some hiking such as you have had this summer. No such opportunities up north in Canada oddly enough. Hiking was everywhere in Newfoundland but in Quebec and Ontario, it seems it’s all boats, ATV’s and snowmachines. There are trails but no trailhead parking… 🙁 Glad you are having fun and we do look forward to seeing you again, maybe this winter out west. Your Colorado sojourn has been very inspiring! While I’ve explored many of the Western States, I’m not sure why we haven’t reached Colorado yet. Perhaps because I might love it so much, it could lure me away from the sea and into the mountain lakes. Certainly your photos give me that feeling. For now, we are grounded in California with family caregiving. Grateful to have a serene spot to recenter and beautiful blogs like yours to encourage cleansing breaths. Thank you! I just adore your blog! So glad you are back to chronicling your travels regularly. Wonderful pictures, great writing and information about lots of places I would love to visit in my Class B. 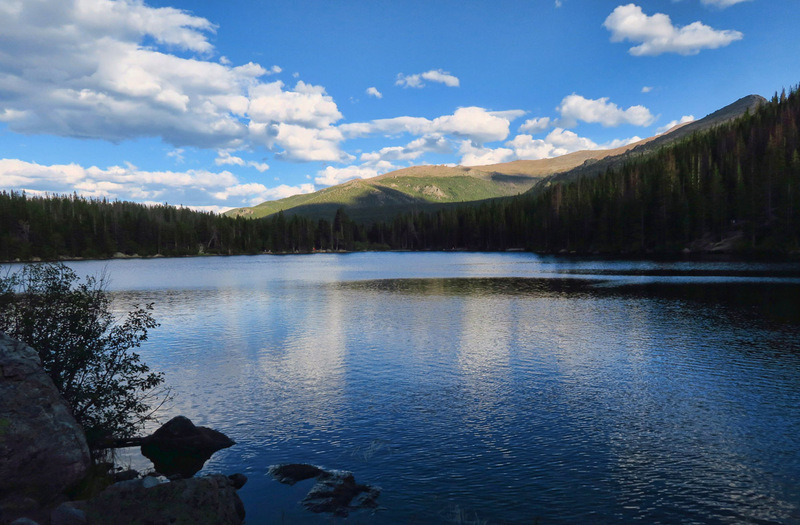 Rocky Mountain NP is on the list for next September.